I just took action and I hope you can too. The natural gas industry wants to use the dangerous practice of hydraulic fracturing (fracking) in the Delaware River Basin, threatening an area that provides drinking water for 15 million people. The Obama Administration can influence the decision. Will you join me in asking the President to protect our drinking water from risky natural gas drilling? More than 50 blocked pages were political in nature, and several users have had their pages maliciously blocked through fraudulent claims of intellectual property violations. This news follows Facebook's recent assertions that it's willing to work with government censors in places like China, and that the company is worried that it sometimes provides "too much" free speech. The Bush-Cheney tax cuts for the rich are still with us, and they are still wrong, plain and simple. "I refuse to renew them again." Please join Sen. Patrick Leahy and me in thanking President Obama for making the bold, unequivocal pledge to the American people and Republicans in Congress. http://leahy.convio.net/site/Advocacy?s_oo=cd2HsSoAICjiLA7dN7dvRA..&id=175 If the text above does not appear as a link or it wraps across multiple lines, then copy and paste it into the address area of your browser. Thousands marched against war in New York City on April 9. Two thousand protested the Koch brothers in Washington, D.C. Neither event was covered by major media. A sparsely attended Tea Party rally just a few days earlier, though, was big news. Join me in signing FAIR's petition to call on news media to explain the journalistic principle that makes thousands of progressive activists far less newsworthy than dozens of Tea Party protesters. 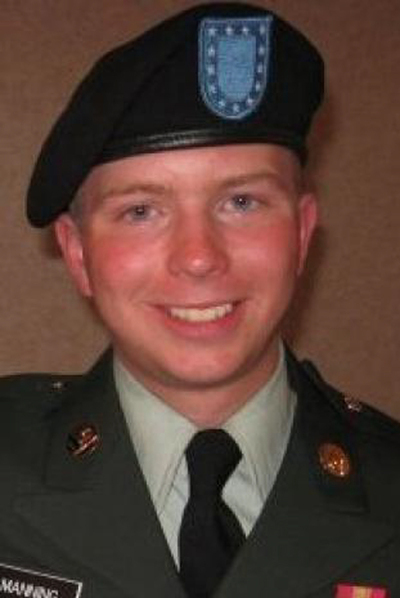 El trato del Pentágono al soldado Bradley Manning, detenido y acusado de sustraer cables clasificados de redes informáticas militares que posteriormente publicó Wikileaks, es degradante e inhumano y se puede equiparar a tortura, según 295 abogados y profesores de derecho de las instituciones académicas más prestigiosas de EE UU. I just signed a petition telling Quantico and the Pentagon to allow official visits for accused Wikileaks whistleblower Pfc Bradley Manning. The isolation of Bradley Manning just took a turn for the worse. Now Quantico Marine Base and the government are breaking their own rules to deny visits to Bradley Manning. As a reminder, GNU-Darwin.org is temporarily going down soon as part of a planned outage. The duration is several hours. There is a planned outage this Saturday at 11 pm EDT. It is expected to last several hours.